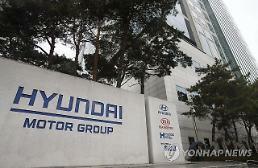 SEOUL -- Hyundai Motor Group's push for a corporate governance overhaul program is facing growing opposition as U.S. proxy advisor Glass Lewis has urged shareholders to vote against the move later this month. In a recent report to investors, Glass Lewis said that Hyundai Motor Group's planned restructuring through spinoffs and mergers between affiliates carries "questionable business logic." 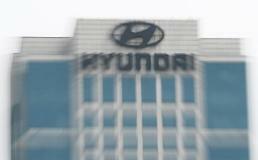 In March, the world's fifth-biggest automaking group announced that its auto parts supplier Hyundai Mobis Co., the group's de facto holding company, will spin off its domestic module and after-sales parts businesses and merge them with logistics affiliate Hyundai Glovis Co.
Glass Lewis took issue with the spinoff merger plan, arguing that the move is "profoundly unattractive for Mobis shareholders, yet more than reasonable for existing Glovis shareholders." 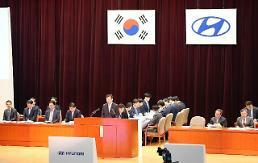 The proxy advisor expressed concerns that Hyundai's restructuring plan will be approved at shareholders' meetings both at Hyundai Mobis and Hyundai Glovis on May 29 if the National Pension Service fund, which is a major shareholder in the two firms, votes for it. 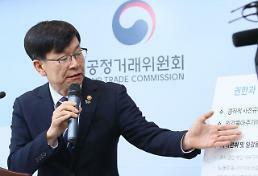 Glass Lewis has joined the opposition campaign against Hyundai's ownership restructuring plan, which has been led by U.S. hedge fund Elliott as well as domestic proxy advisor Sustinvest.